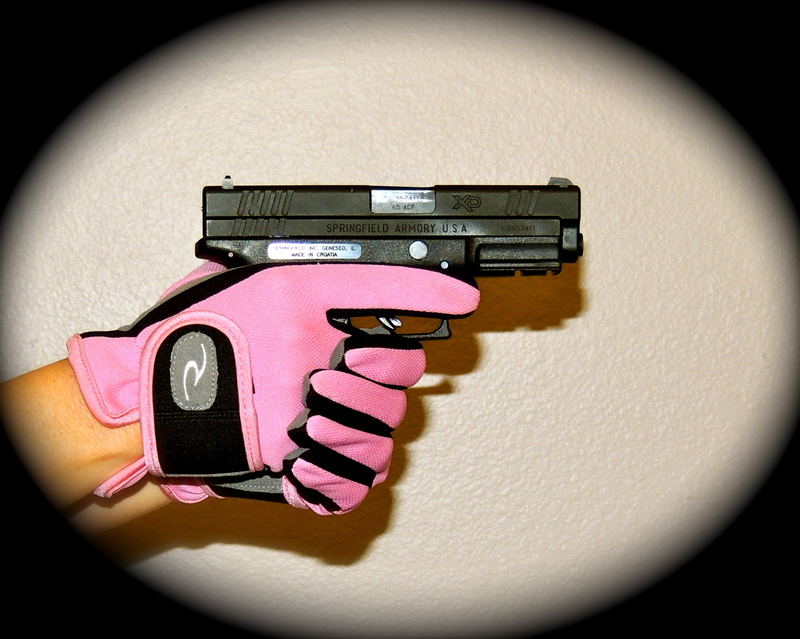 I do know many ladies who use shooting gloves and I wanted to test various brands so that I can provide recommendations, and thank you to Radians, who sent me a couple pairs of their shooting gloves to test and review! My aunt wears a shooting glove when shooting her .357 Magnum Revolver, and my mom said her .357 Magnum hurts her hand after a few rounds, so this would be a one situation where someone might want to use a glove. 1. It is unlikely in a self-defense situation that you’d have a chance to put your gloves on, so you should practice the way you would need to use the weapon in a real life scenario. 2. People really like to feel the trigger and worry that the reduced trigger feedback caused by the gloves would cause improper trigger pull. 6. 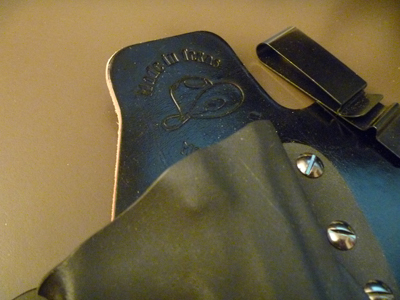 One person felt the gloves made them grip the gun more properly, because the glove made them feel like they had to focus on putting their hand higher on the grip, forcing it up into the tang. 7. 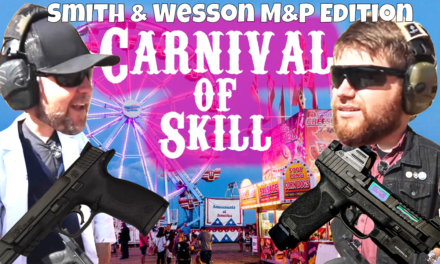 A man who competes in 3-Gun competitions says he uses gloves when competing in the cold, because his belief is the reduced trigger feedback is minimal compared to the impact to dexterity and speed (for example, reloading magazines) caused by cold hands. He says he sees “tough guys”, who refuse to wear gloves, drop magazines and fumble the reload frequently because their knuckles and hands are too cold. 8. 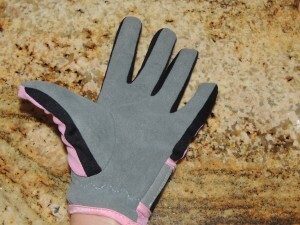 One lady says she uses gloves, because she can get a better grip and can rack the slide easier. 9. 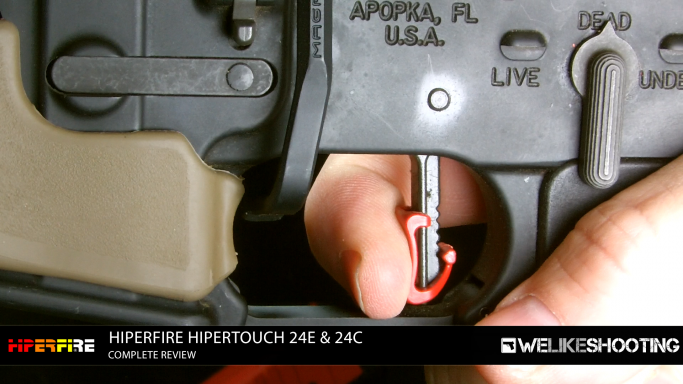 When shooting a very high amount of ammunition in a short period, especially with an AR platform, many people use gloves due to the heat of the weapon. Radians sent me two different models of shooting gloves to test. The first was a pretty pink set of ladies gloves (model RDSG 16). They are made of a breathable mesh fabric back and a synthetic soft leather palm, making them very comfortable. 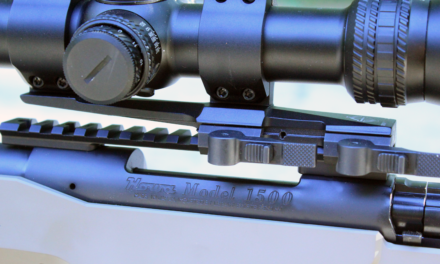 An adjustable Velcro wrist strap secures them, allowing for a wide range of adjustment. The fourchettes (yes, I learned a new word today) are made from lycra, which ensures full range of motion for your fingers. The fourchette is the area of the glove between the material covering the back of the hand and the material covering the palm of the hand. The lycra is key, in my opinion, because if either the leather from the palm area or the mesh fabric from the back of the hand extended to the area between the fingers, the material would bunch and would make using these gloves for a sport, like shooting, very uncomfortable. The second pair they sent was a black gender neutral pair (model RDSG11). The main difference between the two pairs is the material covering the palm area. 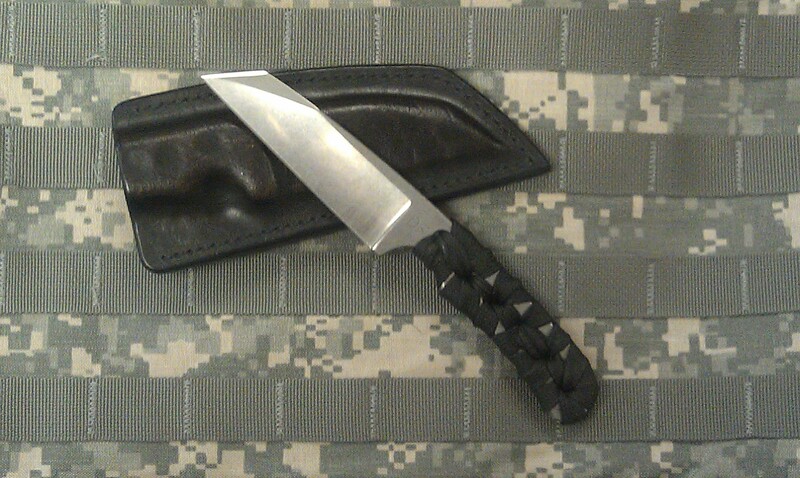 The palm is covered with premium “A” grade black goatskin, and on their site they say it lasts twice as long as cowhide. I have to say that this model was much more comfortable to me. I can imagine that after I have them awhile, and as they are broken in, they will feel like a second skin. Both models conform to the natural shape of my hand. The pink gloves come only in one size, (med/large). I would have preferred if there were three sizes, as the medium/large pair is just barely big enough. (I am a tall girl, and have larger hands than many ladies.) If they were just the slightest amount bigger, they would be perfect. One other option I would be interested in would be a version with an open index finger so that I could feel the trigger. 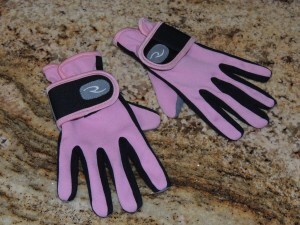 The black model does come in two sizes, the med/large like the ladies pink glove, as well as a large/XL pair. My pair was med/large. 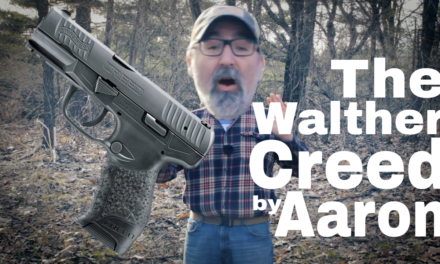 I operated my Springfield XD45 with these gloves, and once I got used to the feel of the trigger with the gloves, I could shoot just as accurate with or without the gloves. The leather covering the index finger is rather thin, and I could tell it would eventually wear a little, allowing for an increase in trigger sensation while firing. The only issue I had while shooting was racking the slide. While these gloves removed any fear I had of getting “bitten” by my slide, they also made my fingertips slippery. The reduced grip required me to squeeze my fingers much tighter than I normally do to pull the slide back, resulting in more energy spent. I think if I were shooting a revolver, like a .357 Magnum or a rifle out in the cold – these would be very useful gloves! Overall, these gloves are very well made, good quality manufacturing. 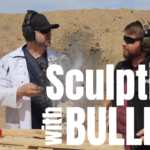 Even though shooting can be really hard on hands and gloves, I can tell these are strong enough to withstand many, many serious days on the range – and I plan on putting them to the test! As time goes by, I will let you know how they are holding up. NextThe K-Tor Pocket Socket – It’s ok.
A little sugar and a little spice, makes everything nice. Throw in a dash of tomboy, a Springfield XD 45, a custom 6XC, the need for speed (I love NASCAR), dedication to God and country (22+ years in the US Navy) – and a hot pair of red high heels and you get Lil Chantilly. I love firearms of all kinds (but, that is not the only thing that gets me fired up). I am a lady gun blogger, blogging here at WeLikeShooting.com and over at HeelsAndHandguns.com. If you are learning more everyday, just like I am, I will let you know what I am up to and we can share our knowledge.